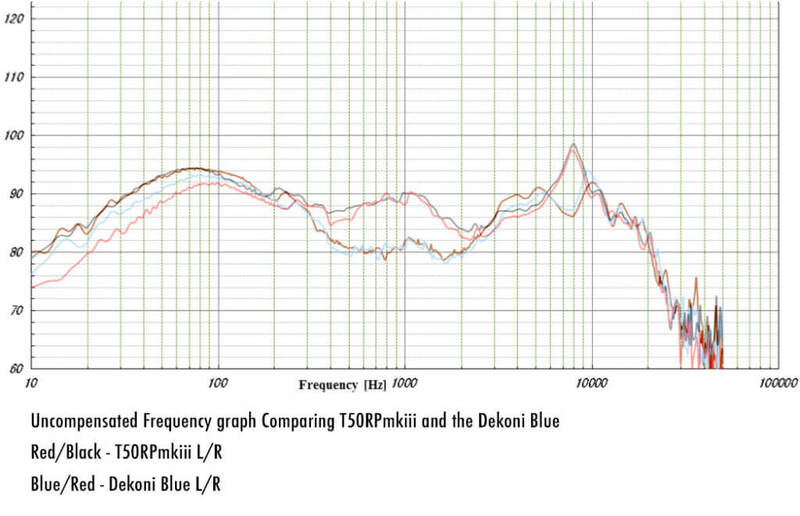 So people have been speculating on the Dekoni Blue and what we did to the Stock headphone to make Fostex take notice and agree to make it for us. We’re the only company who Fostex has agreed to produce a modified T50RP MKiii for and I think that says a lot. It is said that they made the MK3 because of the overwhelming demand for the modded MK2 over stock. Instead of realizing that people just like to make things their own and tinker, I think they took it as their headphone not being good enough. I think the MK2 became the perfect platform to play with but they saw it as a flawed product that people had to change to make better. Anyway, They took a look at all the mods out there and essentially made their own and called it the MK3. Think about it. The padded headband, the venting under the pads on the front end of the cups, etc. The whole sonic signature. To my ears though, and to many others in the audiophile community, the MK3 wasn’t a very fun headphone to listen to. It’s very clinical and not easy to listen to for long periods. While I won’t go into detail about the specific changes within the headphone components we made I will say the addition of the asymmetrical ear pads we made for this headphone were designed in such a way to obscure the outer edges of the driver which, in turn, caused the “fatigue peak” to go away. My thought on the planar driver is that the way it is housed causes high frequency build-up in the corners and edges. By Obscuring the outer edges you smooth off that peak. That went a long way to helping me in my quest for a better T50RPmkiii. The other changes I made were in the low end. I made some inner changes that allowed for a slightly extended bass response. I also was able to manipulate the driver output in such a way as to carve out some mids in order to bring out some more clarity and detail while making this a fun headphone to listen to. Unfortunately, you still need a headphone amp to drive these things sufficiently! That’s one issue I couldn’t find an internal modification for. My goal in this project was to make the MK3 a fun headphone to listen to and I think I did that. It’s a little more V-shaped than the stock, has a little more oomph, and isn’t so brittle. 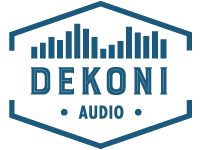 I ask that you give the Dekoni Blue a chance as many of the folks that have listened to it at CanJam, RMAF, and the other shows around the world we’ve displayed them at have said this is the best sounding Mod yet for the MKiii that’s been produced and it’s a project I’m happy with and proud of. I have not created the perfect headphone nor have I claimed to and this might have just been a one off personal piece had Fostex not taken notice and made an offer to us. We are honored to have Fostex create this for us, our first venture outside of ear pads, and hopefully the first of many new products Dekoni Audio will be sending your way in the next 100 years (hopefully). I have enjoyed listening to my pair of Dekoni Blue headphones for the last week. “They need hours of break in to sound their best”. Thank you for the hours of trial and error, and R&D you put into the development of a superior product.